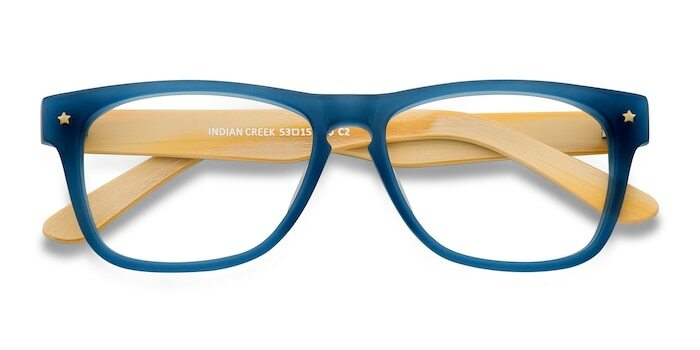 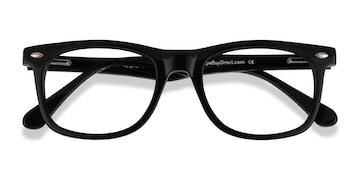 Stand out with these blue plastic eyeglasses. 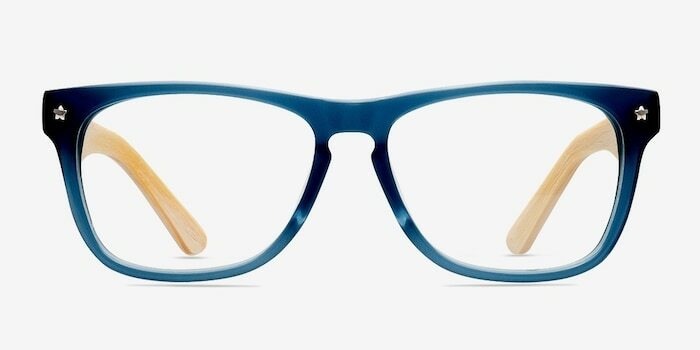 The wayfarer shaped frame front comes in a semi-transparent deep blue finish with keyhole nose bridge and starred silver stud accents. 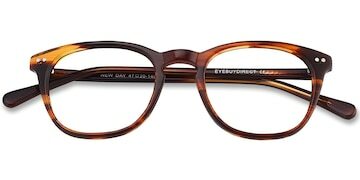 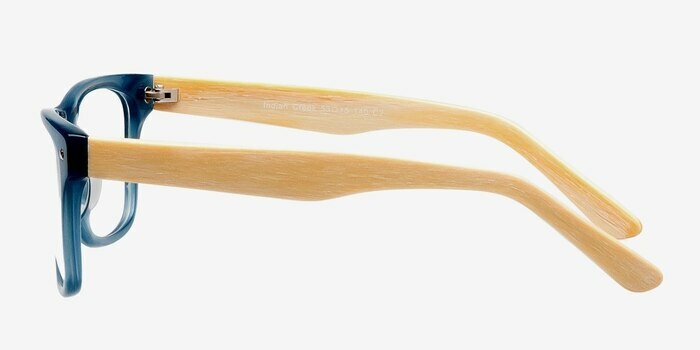 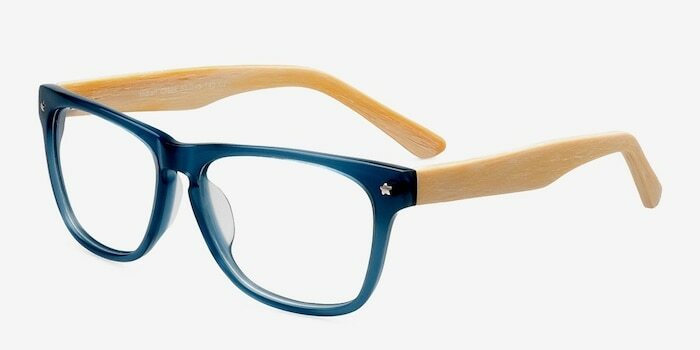 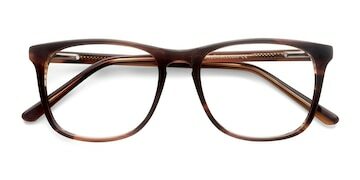 The accentuating bold temples are colorized and texturized to resemble natural bamboo.